Why Does My Windmill Need A Service? Windmills are possibly one of Australia’s oldest continuing pieces of machinery, which throughout their history have facilitated the development of the Australian pastoral industry. Much of our pastoral lands could not have reached their current level of production were it not for the use of windmills to raise water from underground aquifers, or from surface storages into raised storages for distribution to stock. 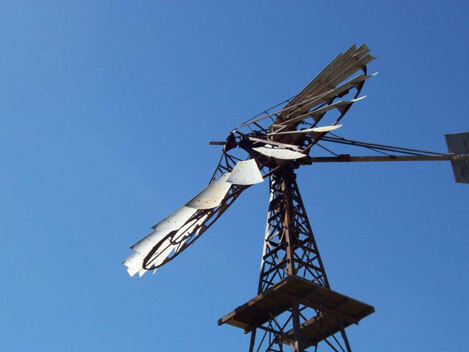 Windmill contractors have always played a significant role in the pastoral industry. Today there has been a resurgence in the use of windmills, despite the more recent development of alternative methods of transferring water on farms. Windmill technology is not new, but it is just as relevant today as the 1860’s, when multivained windmills first appeared in North America, closely followed by Australia. In recent years, windmill contractors have been gathering together to address issues raised by Occupational Health and Safety issues, the development of alternative means of water pumping on farms, and ensuring the availability of contractors into the future. As a result, contractors have been active in building a better industry and better businesses, and addressing issues that are beyond the ability of individuals to manage. Queensland windmill contractors have been at the forefront of this process. Our contractors take great pride in their work, and are prepared to stand by what they have done. As a result, contractors look forward to an industry that still has a bright future, unlike so many other iconic Australian activities that have fallen by the wayside in recent decades.